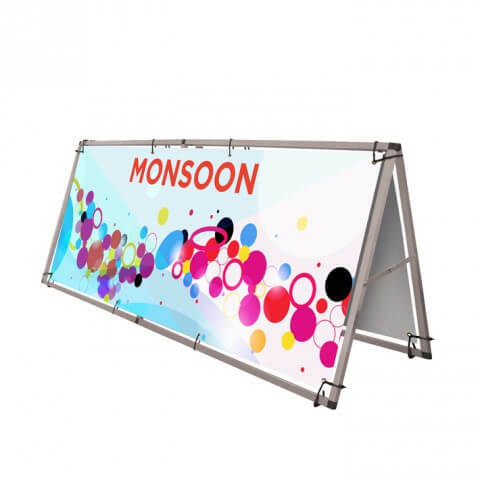 Monsoon is a large format single or double-sided A frame outdoor banner. 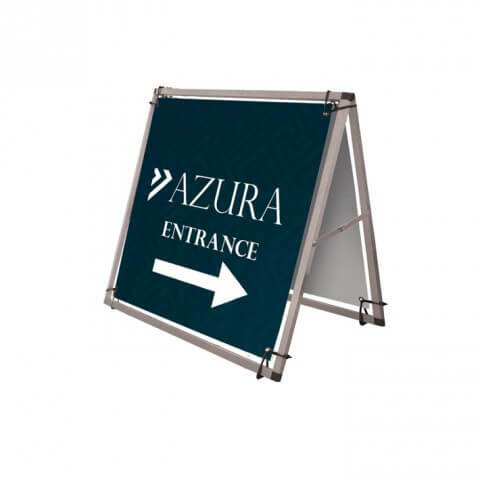 It is made with lightweight natural finish 25mm square aluminium tubes with reinforced plastic mouldings. 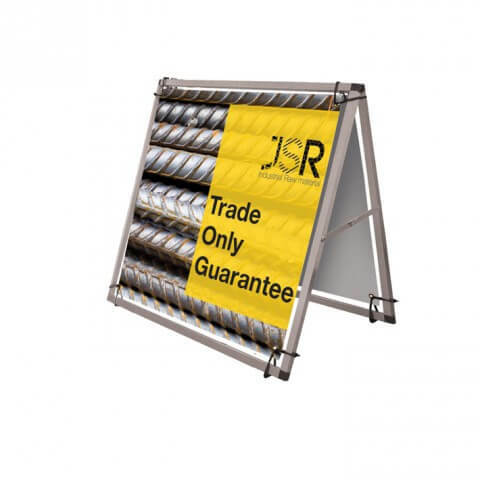 Monsoon features reinforced brass eyeletted banners. 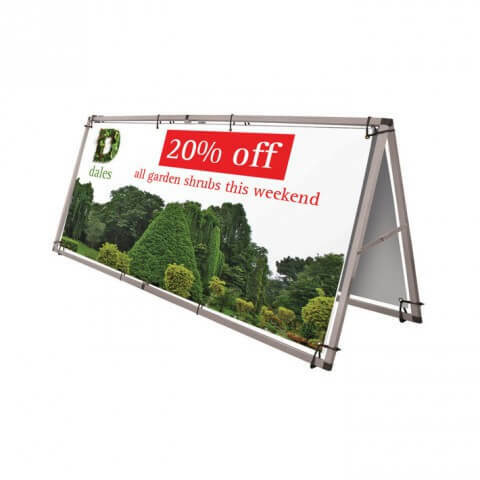 Two landscape sizes sizes are available and one square size. 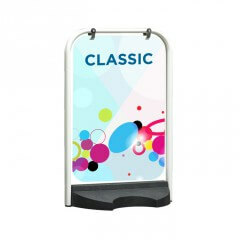 Monsoon is a great solution for promotions, advertising or just displaying information. 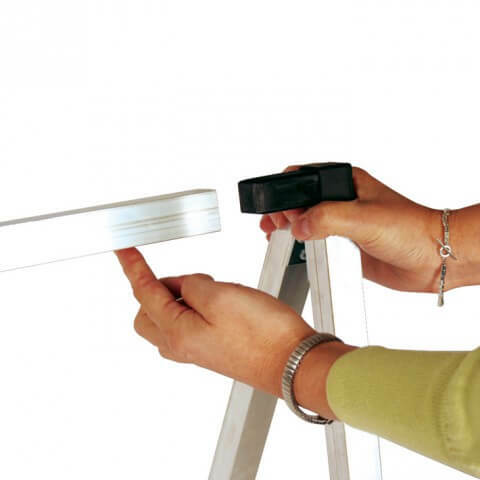 Easy push-fit assembly with plastic flush-fit joints mean that no tools or experience are necessary. 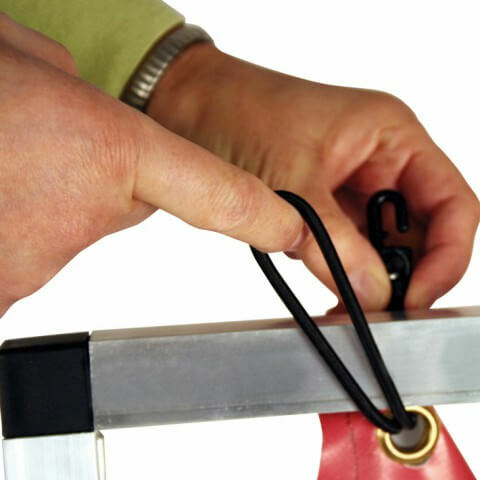 The graphics are secured with adjustable looped elastics and the display comes complete with guide pegs and carry bag. Monsoon withstands winds of 18-24mph/29-38kmh approx. 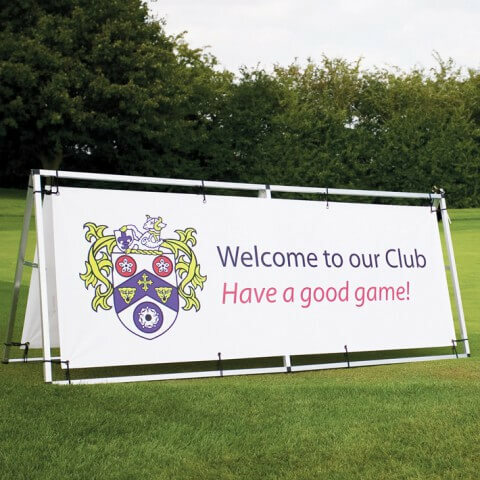 Display hardware has only one purpose – to show your image to best advantage. Print quality is what counts so we never compromise. At all. 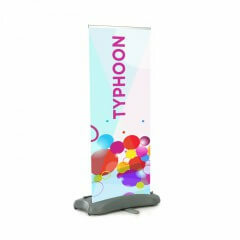 Like all our other banner stands Monsoon boasts the following; 1) hang-flat, anti-curl, multi-layer media 2) the most abrasion-resistant, UV stable, long life print 3) stoplight opacity. 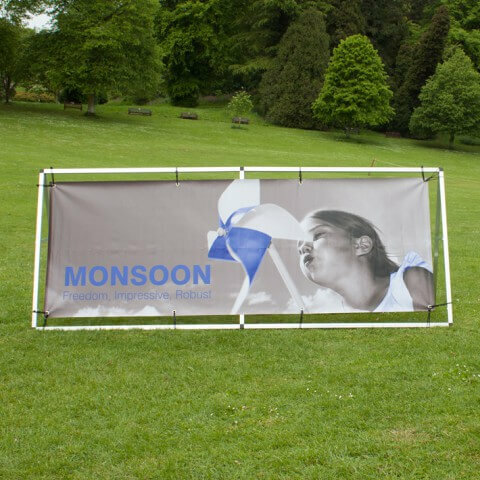 Monsoon outdoor banner from Fresco on Vimeo. £72.60 need help? contact us! 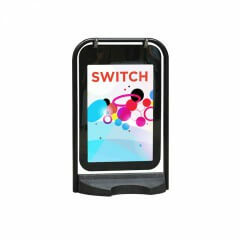 £19.00 need help? contact us! 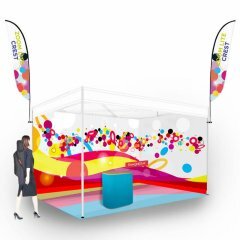 Single or double sided, mechanical outdoor banner stand. 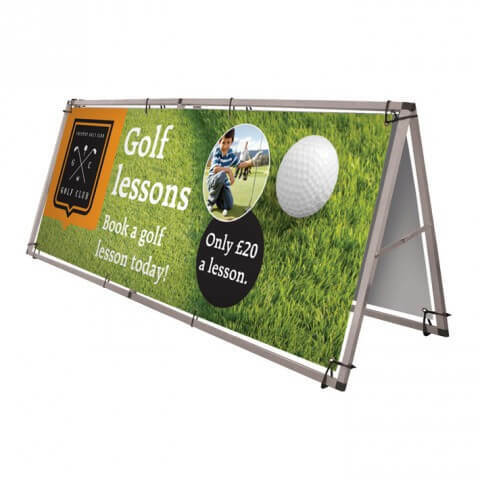 £320.00 need help? contact us!